If you’re watching your carbs and seeking a meal packed with lean protein, chicken is a great go-to ingredient. The problem? Making chicken the same way over and over again gets really, really boring. That’s why we found five comforting exciting low-carb recipes that are packed with flavour. This recipe proves that low-carb doesn’t have to mean tasteless and boring. 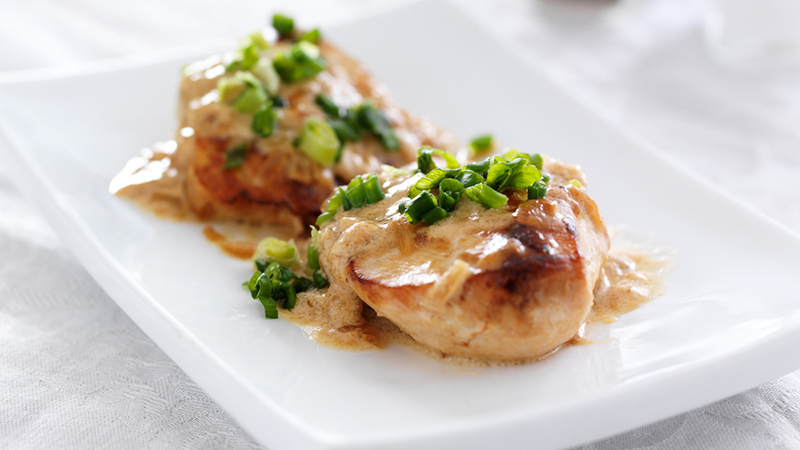 Combining sour cream and onions for a rich sauce gives this chicken dish a creamy, indulgent flavor. At 3.3 grams of carbohydrates per serving, consider this recipe a keeper. As a bonus, think about the health benefits of green onions: they contain vitamins K and C for bone health, vitamin A for eye health, vitamins C and A for heart health, and phytochemicals that may support immune system functions. Get the recipe. At 3 grams of carbs per serving, this recipe gets the Diabetic Living seal of approval. The flavours are a combination of tangy (from the paprika, rosemary and garlic rub) and sweet (from the balsamic-vinegar drizzle). 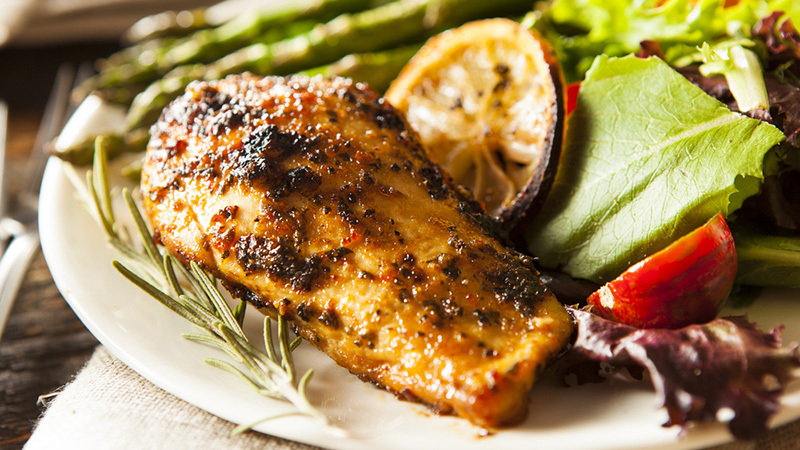 Chicken can be a good option for diabetics or anyone on a low-carb diet thanks to its high level of protein. Get the recipe. 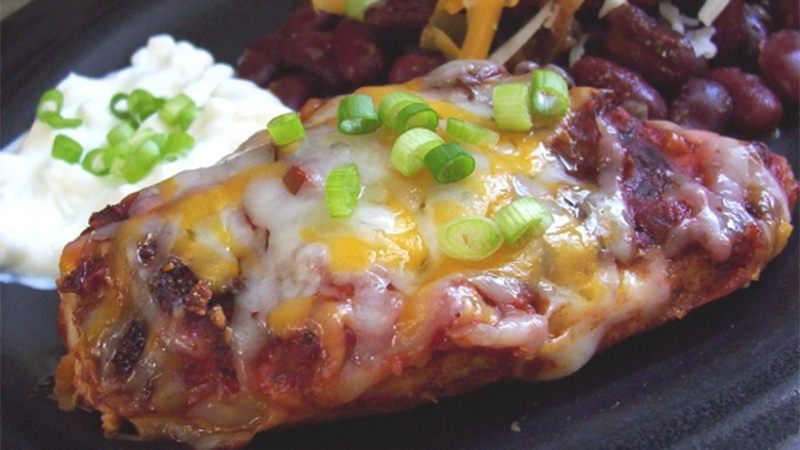 Give your chicken some southwest flair by adding taco seasoning, salsa and low-fat cheese. To reduce sugar (and carb) content even more, make your own homemade taco seasoning instead of buying a pre-made packet at the store. And while you’re checking your taco seasoning for excess sugars, don’t forget to look carefully at the labels of other unexpected sugar sources: Asian sauces, fruit spreads, salad dressing, spaghetti sauce, oatmeal, bread, yogurt, frozen dinners and bottled tea. Get the recipe here. 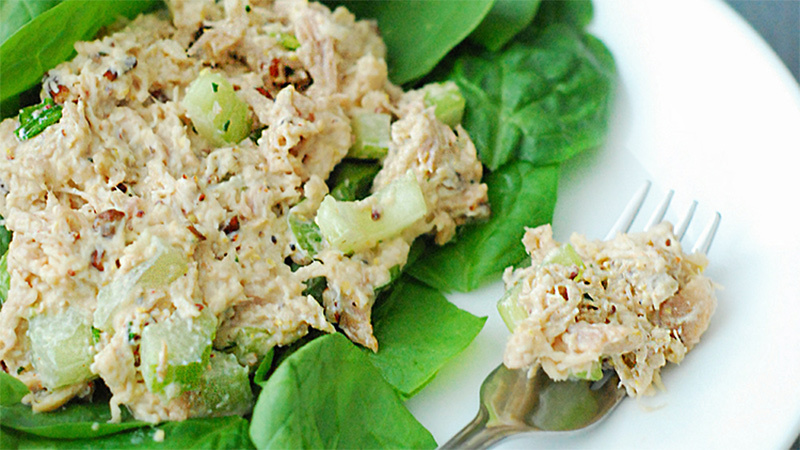 At only 1.8 grams of carbs per serving, this chicken salad only takes 10 minutes to prepare. Keep the carbohydrate count even lower by eating your chicken salad on an open-faced sandwich (with just one slice of bread) or, better yet, on a bed of greens. Get the recipe. In need of some comfort food? How about whipping up a spicy soup? 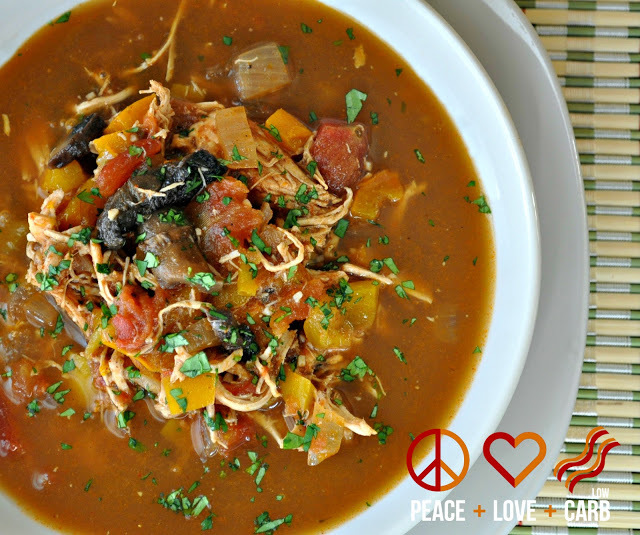 With just 4 grams of carbohydrates and plenty of vegetables for added nutrition, this is a perfect slow-cooker recipe for a winter day. Cook time is seven hours, so consider mixing the ingredients in the morning for a soup that’s ready to go by dinner ime. Have you ever wondered why chicken soup is so commonly cited as a go-to comfort food for someone who’s feeling under the weather? Eating chicken may increase the brain’s serotonin levels thanks to its high level of tryptophan, an amino acid. Serotonin works as a natural anti-depressant and helps to regulate moods and stress. So get the recipe already! Comfort food and low-carb: it may seem like the two don’t go together, but these recipes will pleasantly surprise you. Chicken is the perfect ingredient to merge both worlds. Whether baking, poaching, frying, grilling, broiling or slow-cooking, you can make flavourful, comforting meals that are chockfull of nutrition and keep you on track if you’re counting carbs.